A pretty flower bedside table just perfect for storing special bits and pieces. 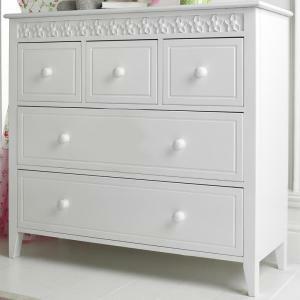 The bottom drawer is extra deep for those extra special keep sakes and all drawers feature drawer stops as standard. 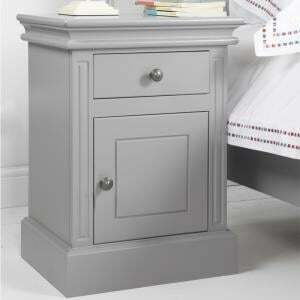 Solid and heavy, this childrens bedside table is built to last. 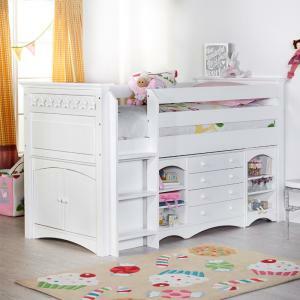 The addition of the hand casted flower applique give a luxurious depth and definition that only adds to the appeal of this childrens bedroom set. 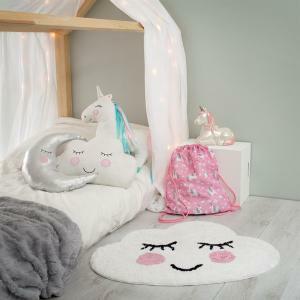 Available in a choice of colours (see options opposite) and large selection of matching furniture available (scroll down below). 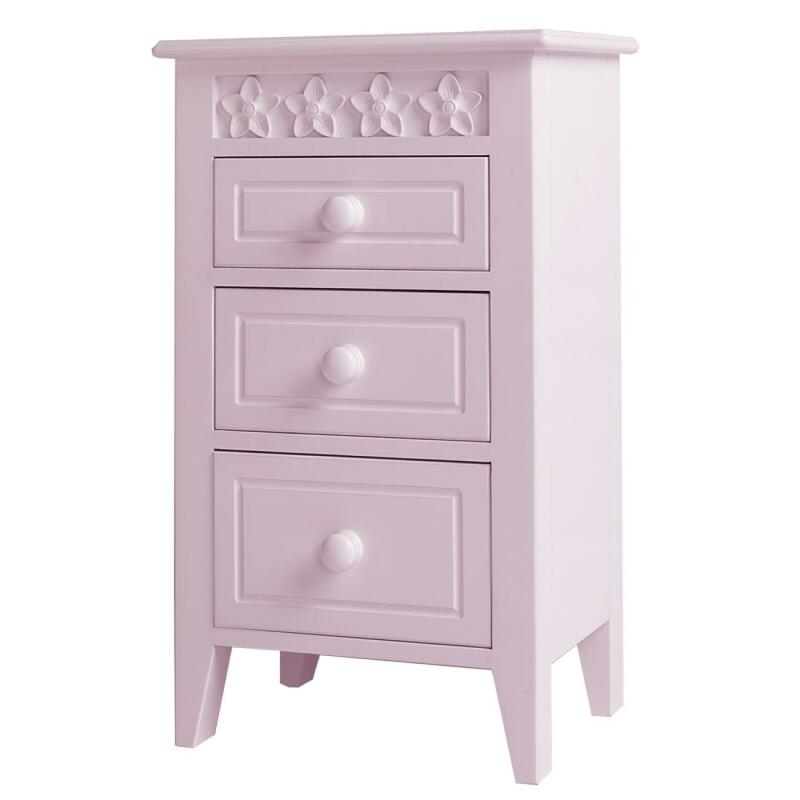 A stunning girls chest of drawers from our Daisy Brambles Collection available in different colour options. Featuring hand casted resin flowers that g..
A truly beautiful white flower bed fit for a Princess. 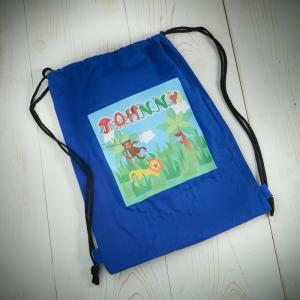 Take a closer look by clicking on our video link above. 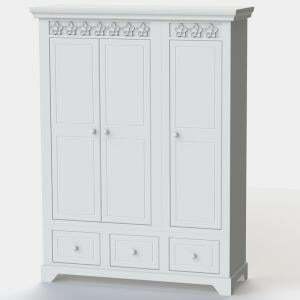 Exclusive to Lucy Willow and made in th..
A tallboy ideal for those awkward areas where space is a premium. 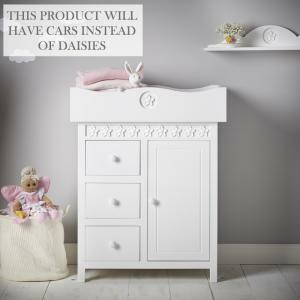 Five spacious drawers (drawer stops fitted as standard) and our hand casted flower a..
An exceptionally practical Daisy Brambles kids cabin bed for when space is a premium in your childs bedroom. 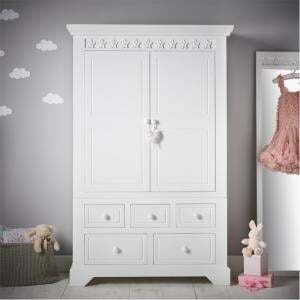 Made by our factory here in England we ha..
A truly beautiful bunk bed for girls. 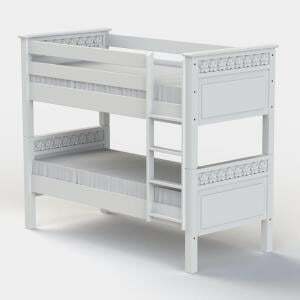 Hand made by our own factory here in England this is a quality girls bunk bed. Featuring hand casted resin daisi..
A stunning children's chest of drawers that combines beauty with practicality. With large deep drawers (each fitted with drawer stops) our Daisy chest..
Our Daisy double pedestal desk is stunning to look at whilst being incredibly spacious and practical. Featuring our hand casted flowers and made to th..
An extremely solid well made girls desk. Handmade to order by master craftsmen in our own factory here in the UK and featuring hand casted resin flowe..
Our Daisy chair is a perfect complement to our Daisy Brambles Desk or our Daisy Brambles Dressing Table. 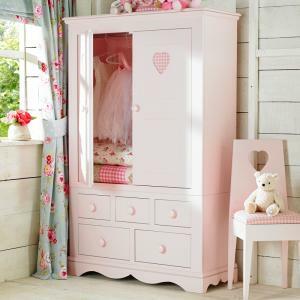 It comes upholstered in either pink gingham o..
A pretty and discreet childrens bedding box to match our exclusive Daisy Brambles childrens furniture collection. 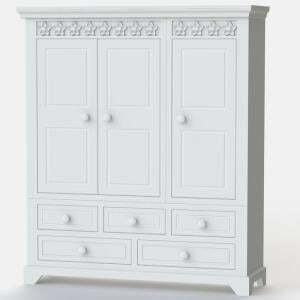 The hand casted flower applique add ..
A beautiful tall bookcase from our Daisy Brambles Collection. 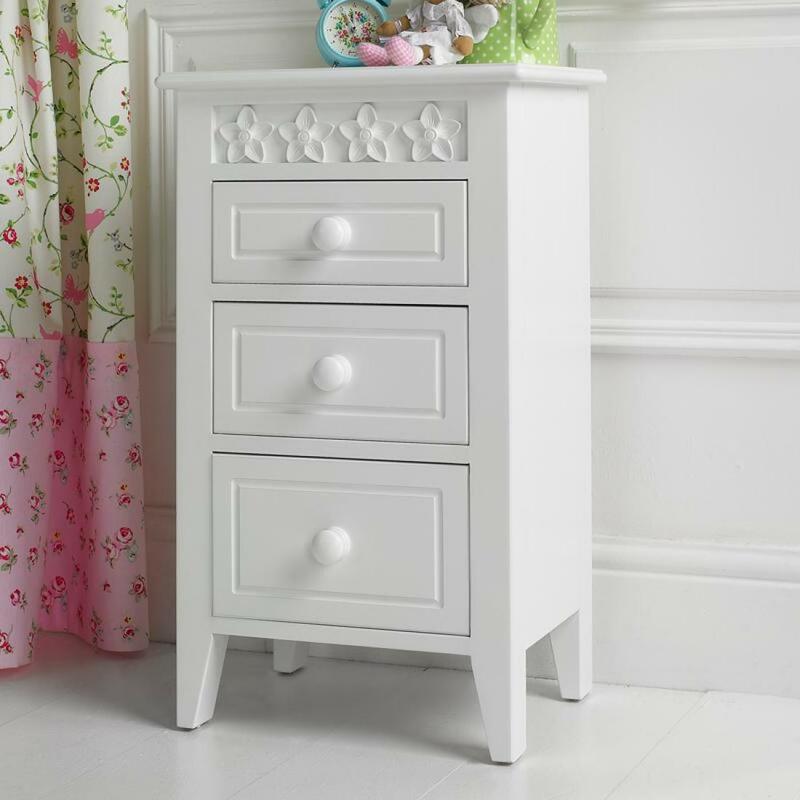 The pretty flower carvings are individually hand casted from resin to give a depth and d..
A beautiful chest and changer in the style of our very popular Daisy Brambles collection. 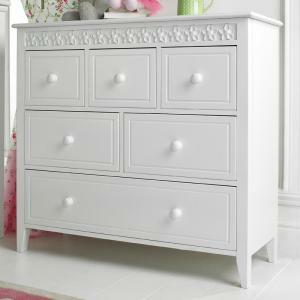 Hand made in our own factory here in the UK this chest and c..
A beautiful chest and changer in the style of our Bertie Beetle collection. 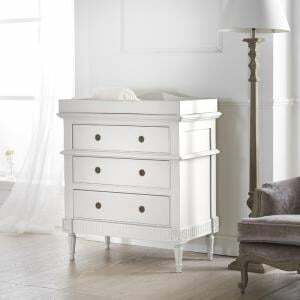 Hand made in our own factory here in the UK this chest and changing unit f..